The Page 99 Test: Russell K. Schutt's "Homelessness, Housing and Mental Illness"
Russell K. Schutt's "Homelessness, Housing and Mental Illness"
Page 99 passes the test with flying colors. 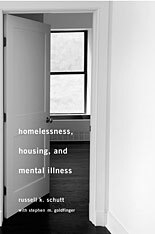 Homelessness, Housing and Mental Illness tells the story of homeless persons with severe mental illness who moved into housing as part of a federal research demonstration project and attempted to rebuild their lives. Anyone who has moved into a first home knows what an empowering experience that can be; you can imagine how that psychological effect would be magnified for persons who have been living for years in shelters and on the streets. So empowerment in this context is a shift in psychological orientation as well as a change in physical location. It has served for years as a vision of what recovery from mental illness should look like and as an endpoint for the process of deinstitutionalizing psychiatric care. On page 99 the empowerment process is in full swing in one of the homes, as “more tenants participated in tenant meetings and expressed their opinions more freely.” The project “empowerment coordinator” opens a house meeting by explaining “consensus thinking… we decide what a problem is…and we discuss all the sides.” The meeting is friendly and supportive, as tenants respectfully share their opinions and shoulder the responsibilities of house management. If only the story could have remained on that page forever. But life is not so simple and social relations are not so easy and so one page is not the whole story. By the book’s end, page 99’s glowing description of empowerment seems almost like a mirage, shimmering in the distance but never quite attained. 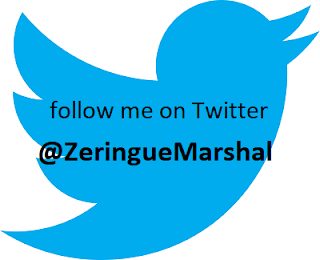 What page 99 does not reveal is that the empowerment process encountered frequent obstacles due to drug and alcohol abuse, symptoms of psychiatric illness, functional impairments, and some discordant agency rules. Instead of turning the house keys over to an empowered group of tenants, house staff had to reassert their authority over critical house functions. Also missing on page 99 is the other half of the story. Half of the initially homeless participants In our experiment were assigned to live in independent apartments rather than in group homes. The independent apartment tenants were to become empowered by living in the community like others, in their own home rather than as part of a group. So the question addressed by our team of researchers was whether empowerment could best be achieved by living in a group home with others or by living on one’s own. Would there be any lasting value to the social engagement described so movingly on page 99? The answer awaits those who continue reading beyond that page. Learn more about the book at the Harvard University Press website.